The Fourth Squad is investigating a Robbery that occurred in Lynbrook on Tuesday, January 07, 2014 at 11:05 am. Lynrbook, NY - January 8th, 2014 - The Fourth Squad is investigating a Robbery that occurred in Lynbrook on Tuesday, January 07, 2014 at 11:05 am. According to detectives, a male Federal Express driver making deliveries was stopped on Lester Avenue when he was approached by two unknown male subjects that ordered him to sit in the rear cargo area of the truck and then bound his hands. Subject one displayed a black handgun and took the victim’s wallet and cell phone. He is described as male black, 5’10” tall, and having a slight build. Subject two is male black with no further description. Both subjects then removed several packages from the truck and fled the scene by unknown means. There were no injuries reported. 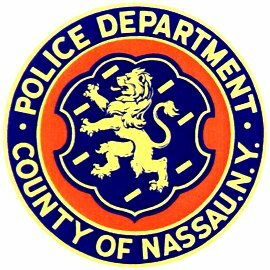 Detectives request that anyone with information regarding his crime should contact the Nassau Crime Stoppers at 1-800-244-TIPS. All callers will remain anonymous. Subject: LongIsland.com - Your Name sent you Article details of "NCPD Crime Alert: Two Suspects Wanted for Robbing FedEx Truck"